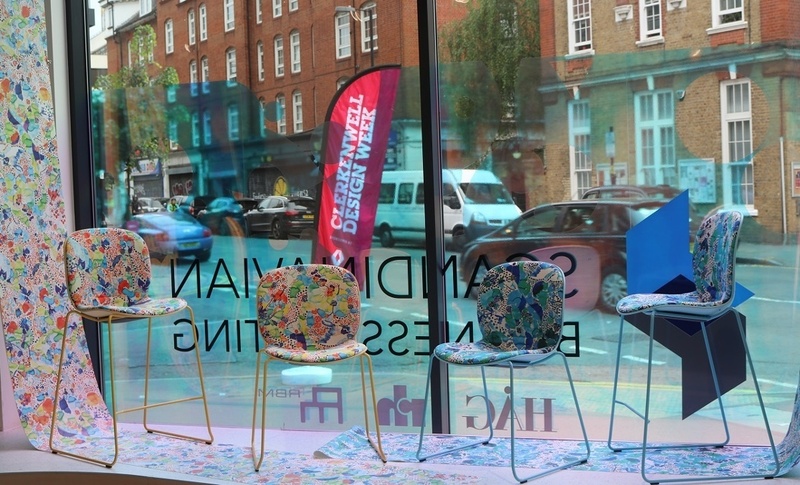 For the 8th year running, the London district of Clerkenwell invited one and all from the architect and design community to sample the very latest and best on offer from the world of furniture & interior design. 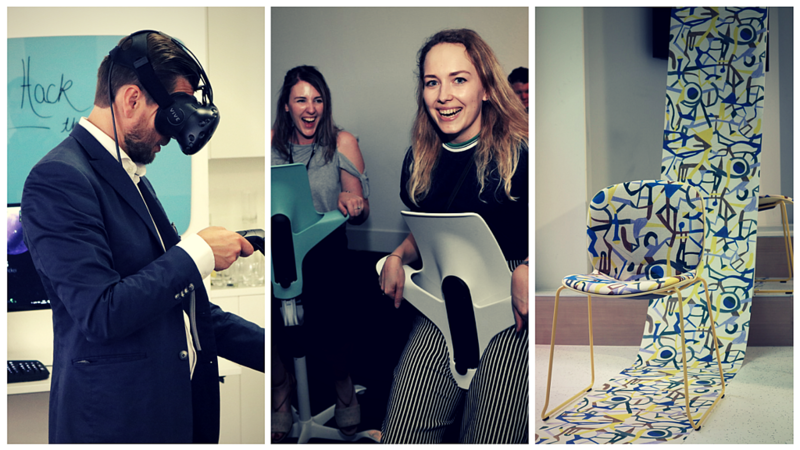 Clerkenwell Design Week 2017 saw over 90 brands open their doors, and for three days of glorious sunshine, we hosted an array of events, talks and installations at our showroom, showcasing some of our latest products but also exploring the trends and themes driving our industry forward. Design is an interesting concept. Creating something both functional and beautiful is often a challenging endeavour, and even then humans are subjective beings, capable of independent thought and opinions. 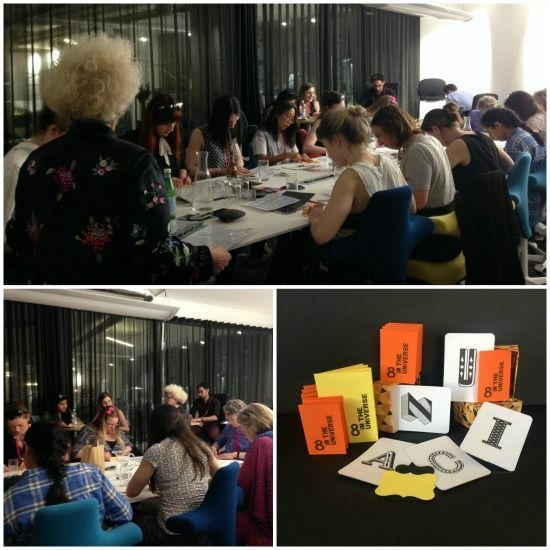 Throughout the week we hosted several events exploring the underlying notions on what is good design, and how it relates to various aspects of our lives. Design collective Hack The Senses, in association with HÅG, took visitors on a sensory journey at our Lekeplass Installation which ran the entire week, inviting participants to take on a series of sensory games which individually manipulated each of our senses. Your senses of sight, sound, smell, touch, and even your sense of self were all challenged. Lekeplass saw its participants take part in a series of challenges, each one centred around a different sense and how it influences our perceptions of the world around us. The Mindful Creativity workshop put on by 8 in the Universe saw a range of creative people exploring new ways of tapping into their creativity. 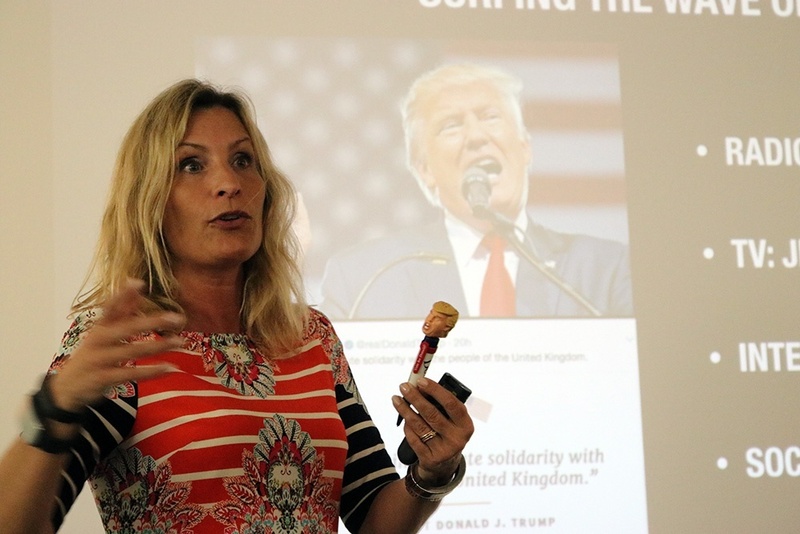 On Thursday, creativity workshop cooperative 8 In the Universe delivered a bespoke workshop examining how mindfulness and creativity can be mutually beneficial. Hosted by co-founder Marian Connor, the event was well received by over a dozen artistic individuals, who through a series of calming and relaxing exercises approached creative tasks in a different light. If a calm approach wasn’t your thing, Wednesday’s Design Talks, Powered by PechaKucha was a lively introduction to a huge array of ideas and concepts from our international panel of thinkers and doers. 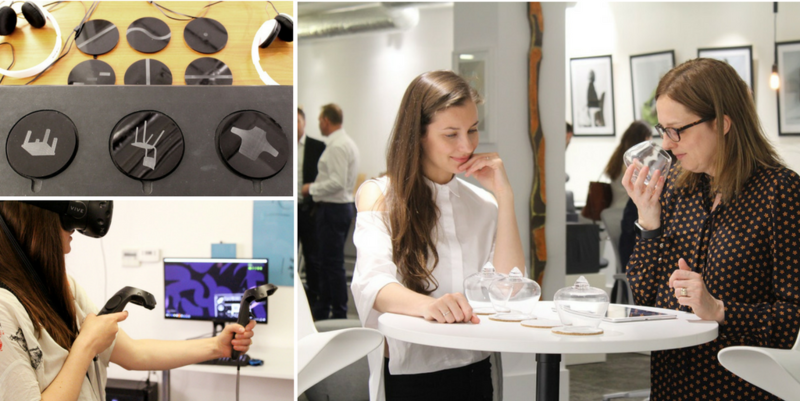 We heard from visiting lecturer Franek Wardynski about the challenges of visual design, 3edges Ian Ellison on how your surroundings influence your productivity and creativity, Journalist Lia Forslund about Swedish design studio Form Us With Love’s PROTOTYPA exhibition, and many more. L-R: Lia Forslund, Ian Ellison & Imre Bard all taking on the PechaKucha format. Clerkenwell Design Week 2017 also saw the launch of a fresh collaboration between RBM and Finnish luxury interior comapny FEATHR, marrying a host of their sumptuous fabrics with the RBM Noor chair. You can read more about that here. The RBM X FEATHR collaboration was launched during Clerkenwell Design Week, with 10 of the designs on show throughout the week. As highlighted in our top trends for 2017 article, Wellbeing in the workplace is of growing importance, and according to recent statistics, is fast becoming a central theme in every workplace. During Clerkenwell Design Week Alan Foggarty (standing in for Simon Wyatt!) 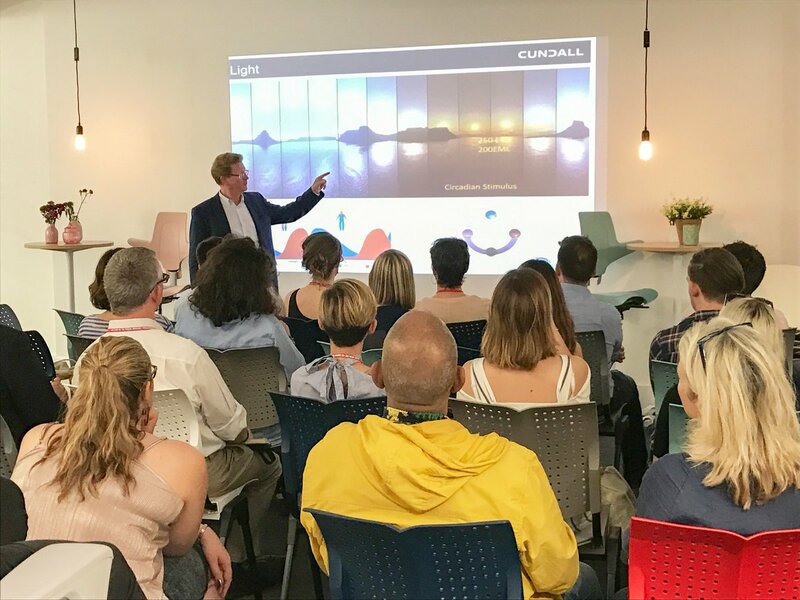 of engineering group Cundall gave us an engrossing presentation on the newly developed WELL Certification, of which his organisation delivered Europe’s first certified building. Alan’s comprehensive presentation gave an insight into the level of detail required for the certification, which uses innovative research-backed strategies to advance health, happiness, mindfulness and productivity in buildings and communities. One of our most fascinating talks looked to events which are yet to be. Future Navigator’s, Liselotte Lyngso, whose clients include Greenpeace and Red Bull, presented ‘Spot the Future – And Furnish it!’, which took us into the world of tomorrow, and explored the way in which we can all spot future trends, and how to develop tools to be able to deal with an ever changing landscape, with a particular focus on the world of furniture and design. After three glorious days, the show came to an end, and what better way to end it than with a party? Nearly 500 revellers headed over to our small patch of Clerkenwell to say farewell to another successful CDW, and parties into the night, enjoying our live music, and Swedish cuisine.